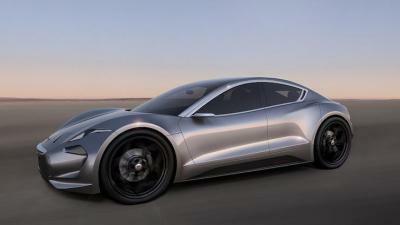 Henrik Fisker, who recently announced its new EV project that will sport a graphene-enhanced battery, unveiled what is hoped to be a competitor to Tesla. Called EMotion, the electric sports car will reportedly achieve a 161 mph (259 kmh) top speed and a 400-mile electric range. While the EMotion is still in its early stages, Fisker already announced several details that suggest the vehicle is not designed for everyday commuting. It was described it as "technology-laden" and said to be expensive. A graphene-based battery will power the electric motor, the result of a partnership between Fisker and California-based Nanotech Energy. Fisker did not specify when deliveries should start, but mentioned plans to show off the first EMotion in mid-2017.